Grew up in Brackhall, Hartlepool. Parents owned a dairy. Father was a staunch Conservative while her mother came from a family of socialist miners. Worked as a teacher with most of her career spent teaching in special education. Councillor for Smithills Ward since 1996. Governor of Church Road and Ladywood schools. 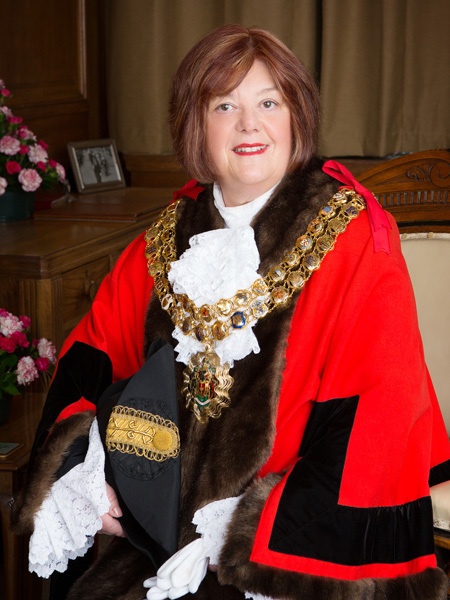 Her friend, Jaleh Hayes, was Mayoress. 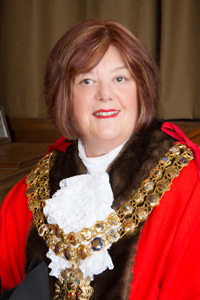 Formal portrait of Carole Swarbrick as Mayor of Bolton. 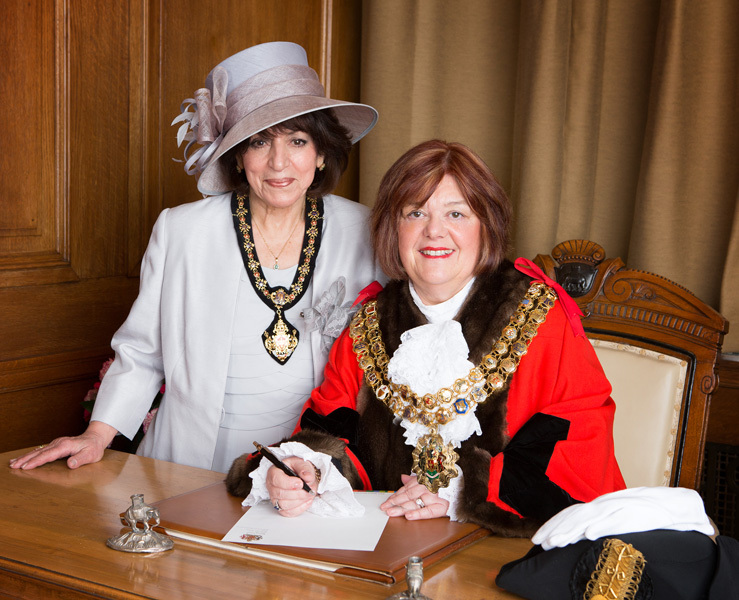 Formal portrait of Carole Swarbrick as Mayor of Bolton with Mayoress Jalah Hayes.